Endorsed a process and set of procedures for distribution of funds to congregations and Synod-affiliated ministries from the Immanuel Vision Foundation’s Synod Mission Fund. Appointed Synod Council members Judy Batterman, Dennis Byars, Patrick Gregory, Rev. Jan Peterson, Rev. Sarah Ruch and Dara Troutman to the Synod Mission Fund Review Committee. Appointed Rev. Greg Berger, Rev. Tim Koester and Joni Bruhn to the Strategic Vision Oversight Team and authorized the Executive Committee to make additional appointments. Established a process to authorize coalitions and ministry networks as envisioned by the Strategic Vision Mission Plan. Approved the audit of Synod financial statements for fiscal year 2014-15. Approved constitutions and bylaws for Grace Lutheran Church in Lincoln and Salem Lutheran Church in Wakefield. Appointed the following individuals to serve on the Synod Ecumenism Committee: Janet M. Anderson, Rev. David Cox, Rev. David Frerichs and Rev. Anna Terman-White. Appointed Wendy Grasz to the Seeking the Spirit Within Advisory Board. 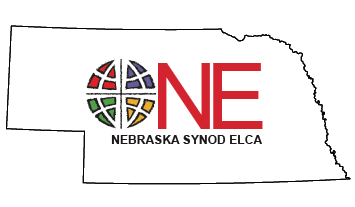 Confirmed the appointments of Mary Schroeder and Tom Birner to the Nebraska Lutheran Outdoor Ministries Board of Directors. Confirmed the appointments of Andy Massey and Mary Reckmeyer to the Lutheran Family Services of Nebraska Board of Directors.